Look no further than the La Terraza development and you will find this 5 bedroom, 5 bathroom charmer. 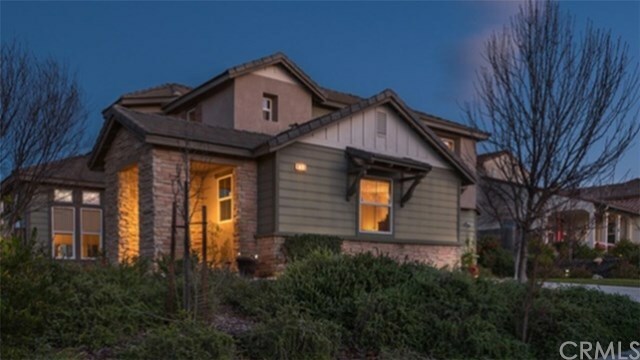 Boasting nearly 3982 square feet of living space and sitting on over a quarter acre, 11365 Eliano is the home that you have been waiting for. Built in 2007 this home features many nice upgrades and finishes throughout. The first thing you notice when entering the home is the cathedral ceilings with formal dining area below. Downstairs there is a large bonus room with on-suite bath. The spacious modern kitchen features granite counter tops, SS steel appliances, upgraded tile floors and large center island; the perfect area for preparing those large holiday dinners. 4 spacious bedrooms upstairs (including the Master Suite) creates a comforting degree of separation from the living areas. The master suite features two walk-in closets and breathtaking hillside views. Pavers have been installed in both the back and side yards providing a very clean look, and very low maintenance yard.